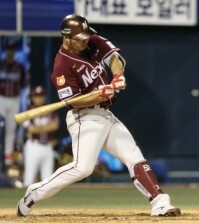 Former Major Leaguer Kim Byung-hyun just took 2/3 pay cut to continue to play in Korea. 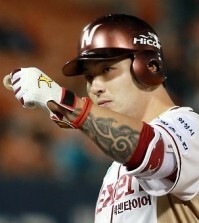 The 34-year old submarine pitcher re-signed for 200 million won ($190,200), his Korean Baseball Organization (KBO) club Nexen Heroes announced on Tuesday. That’s whopping 400 million won ($380,000) less than his 2013 salary, and less than half of Major League minimum salary. 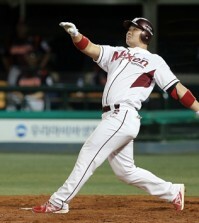 Kim’s second season in KBO wasn’t much better as his earned run average was over five this year. He pitched a total of 75⅓ inning over 15 appearances and finished the year with 5-4 record. Kim won 54 games and saved 86 more, playing for four different teams over eight-years (1999 to 2007) in the Major League, including Arizona Diamondbacks and Boston Red Sox, but is more famous for historic meltdown in 2001 World Series and making obscene gesture toward Boston fans in 2003.